Somehow I have managed to rub my newly appointed manager the wrong way. I’ve made a few mistakes (common mistakes all my coworkers make as well), but my partner and I are the only ones who get called out on these problems. I don’t think I’ve done anything to make him dislike me, but it feels unfair that he favors others over me and my mistakes attract more attention, even if they are not as large or bad as others’. Any ideas? 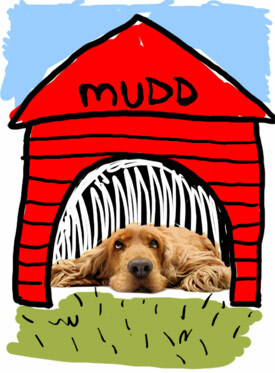 Why is my name Mudd? When people treat someone differently – less favorably – than they treat others, it usually means they’ve come to some negative conclusions about that person. Unfortunately, those negative conclusions are often based on little or no data; they’re almost never stated out loud; and – all too often – they’re not even conscious. All of which makes them challenging to change! I suspect your manager has already come to some conscious or unconscious conclusions about you and your partner, even though he’s new to the job. You can take some steps to try to replace his negative conclusions with positive ones, but there’s no guarantee that will work: a lot depends on how open he is, as a person, to having his mind changed. 1)	If you don’t already have regular one-on-one meetings with your manager, schedule a time you can get together, ideally in his office. 3)	Wait for him to say yes. If he’s evasive, or says no, or changes the subject – these are bad signs. At the risk of sounding extreme, I would suggest you start circulating your resume. If he’s already so stuck in a negative perception of you that he won’t even discuss how to make the relationship work…yikes. Cut your losses. 5)	Really, really, really listen to his answer. Get curious. Absolutely resist the temptation to defend yourself, or to disagree. You’re gathering information here that’s critical to your success. 7)	Again, LISTEN. I’d even suggest that you summarize his answers to both questions, just to make sure you’ve understood. OK, now you have some decisions to make. If what he’s said is really a bad fit for you – you don’t have and don’t want to have the characteristics he most likes from his employees, and his stated approach to management makes you want to run screaming from the room – again, dust off your resume. However, if what he says sounds reasonable to you, and you honestly believe you’ve got the characteristics and abilities he’s looking for (and how he likes to manage works for you), then look for ways to demonstrate that you’re what he wants in an employee. Note: I’m not talking about trying to convince him through argument, I’m talking about behaving in the ways he’s specified. This might have a good outcome: having brought yourself to his conscious awareness as a conscientious and thoughtful employee (and having really listened to him – that’s a powerful thing), he’s more likely to notice your positive behaviors. However (I’m not trying to bum you out, here, just being realistic), he still may not be willing or able to change his negative assumptions about you – it depends on how self-reflective and open-minded he is. Let us know how it goes. Thanks for writing to Office-Politics — that was a smart move that shows you are open to being coached.